What makes a good hot dog? It's a question that's led to the rise of brilliant creations like the chili cheese dog, Detroit coney dog, and the Sonoran dog. In Arizona, you can find these inventions and more at some of the many stellar hot dog joints. These restaurants have drawn crowds filled with hungry patrons ranging from the hot dog traditionalist to fans of the truly unique. 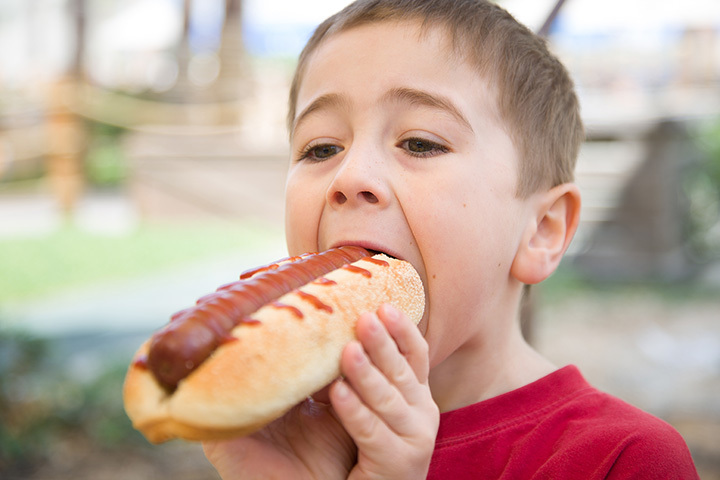 These local spots are the best places to chow down on a hot dog no matter your preference. Short Leash Hot Dogs is the ultimate spot for hot dog lovers. What started as a food truck has grown into a full-scale restaurant and destination for hungry Phoenicians. Short Leash has become a local empire by crafting some seriously creative hot dogs. You can choose between a regular, all beef, bratwurst, chicken, spicy beer hot and vegetarian dog. Their signature dogs include crowd pleasers like the chili dog or the sauerkraut infused Oliver. Premium dogs get a little more interesting. They include inventive creations like the bratwurst stuffed pretzel, poutine dog, and the legendary “bear”—a hot dog slathered in peanut butter, bacon, gouda, barbeque sauce, and cracker jacks. Every true Arizonan knows about the beauty of a Sonoran dog. This Mexican twist on a traditional hot dog rose to prominence in Tucson but has since spread throughout all of Arizona. At the heart of the Sonoran dog movement is El Guero Canelo. This Tucson staple opened in 1993 and has grown to include three restaurants, a meat market, and a tortilla factory. They also serve arguably the best Sonoran dog in the state. This bacon wrapped frank is topped with beans, grilled and fresh onion, tomato, mayo, mustard, and a zesty jalapeño sauce. Detroit Coney Grill brings a taste of Motown to the Valley of the Sun. This Tempe hangout is a breeding ground for coney dogs. This Midwestern spin on a classic hot dog is topped with chili, mustard, onions, and is served on a steamed bun. They also have delectable hand crafted fries, burgers, and chili that beckons memories of old fashioned burger joints. Though it’s fast food, Detroit Coney is all about being fresh. They grind their own beef and cut their own potatoes to ensure you have a fresh and delicious meal. Portillos may still be new to Arizona but it’s already built up quite a reputation. This Chicago-based eatery has been serving up their hot dogs, charbroiled burgers, and beef-n-sausage sandwiches since 1963. In 2013, they expanded to Arizona by opening an expansive restaurant location at Tempe Marketplace. Since then, they’ve developed a huge following by dishing out tasty dogs. In addition to classics like the chili cheese dog, Portillo’s serves Chicago favorites like the mustard and onion covered Maxwell Street style Polish. Lenny’s Burger has been crafting burgers and fries in the Valley for over 30 years. Don’t let the name fool you—they also make one hell of a hot dog. This 50s-style diner is known for serving favorites like the regular dog, corn dog, chili cheese dog, and kraut dog. While a few dogs can go down easy, you’ll want to save some room for the fries. They have several trademark fries that are lathered in layers of cheesy goodness. They have bacon cheese fries, jalapeño chili cheese pastrami fries, and ranch bacon fries to name a few. Ted’s Hot Dogs was established in New York in 1927. This beloved restaurant expanded to Arizona and withstood the test of time by doing one thing: Making really good hot dogs. They sell classic fare like the all beef jumbo, bacon and cheese dog, and crisp golden fries. Ted’s is so renowned that they were even named one of “the 40 best hot-dog joints” in America by Business Insider in 2015. One taste of their food and it’s easy to see why. Ted’s has made a name for itself by selling highly regarded dogs, delicious milkshakes, and their own zesty secret hot sauce. No Tucson restaurant is complete without a Sonoran dog. BK doesn’t have the same cult following as El Guero Canelo but their Sonoran dog is just as good. Their bacon wrapped dog is covered in pinto beans, fresh onions, tomato, mayo, mustard, a grilled yellow pepper and their own secret jalapeno sauce. You can also polish off your dog with a side of zesty carne asada tacos instead of fries. In many ways, Route 66 Dog Haus has a fitting name. For over 40 years, it’s been a go to spot for hungry tourists traveling along Flagstaff’s historic Route 66. It’s also known for its dogs. Tourists and locals delight in Dog Haus’s many delicious offerings including the green chili dog, slaw dog, Chicago dog, hickory bacon dog, and of course, chili dog served on a pretzel bun. That’s only part of the allure. Dog Haus is in a converted Wienerschnitzel building and has walk-up and drive-thru options. Dog Haus is armed with a solid menu and a friendly, retro vibe that make it the perfect Route 66 pit stop. Nogales Hot Dogs is hard to resist. That’s because the smell of their grilled dogs can lure in even the strongest willed passerby. Nogales is an authentic Mexican food truck specializing in hot dogs. Their truck is not unlike something found on a street corner in Mexico. It’s cheap, fast, and serves up mouthwatering dishes. Their Sonoran dog is topped with guacamole, tomatoes, onion, mayo, beans, and yes, bacon. Nogales also let’s you add extras including mushrooms, queso, jalapeños, and assorted hot sauces. Their signature dish is so good that it was even highlighted on an episode of “Bizarre Foods with Andrew Zimmern.” Nogales may no longer be a well-kept secret but it’s worth the hype. You can’t go wrong with a Chicago dog. Johnny’s serves up their version with condiments galore. Their dog includes mustard, relish, onions, tomato, pickle, and sport peppers. Johnny’s is a traditional burger joint material in a modern locale. In addition to their robust burgers, crowd favorites include the chili dog and crinkle cut fries. Johnny’s opened in 2015 and is the youngest restaurant on this list. It may be the new kid on the block, but Johnny’s Chicago dog is making sure this restaurant is here to stay.